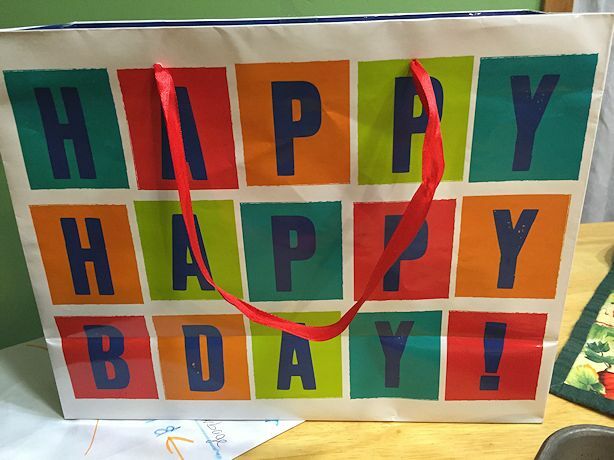 College Boy and Irish Girl are great at thinking of creative birthday presents that the recipient will really love, and this year they hit it out of the ballpark with Teacher’s birthday present. At first we were a little puzzled when Teacher reached into the bag and pulled out a bottle of apple brandy – we love a good tequila but aren’t really into brandy. We were even more puzzled by the container of something that looked like applesauce, and when Teacher pulled out half a dozen habanero peppers I was really confused – and a little worried. I love Mexican food with a fair amount of heat but habaneros are usually beyond my tolerance unless used very sparingly. Six habaneros is NOT “sparingly”! 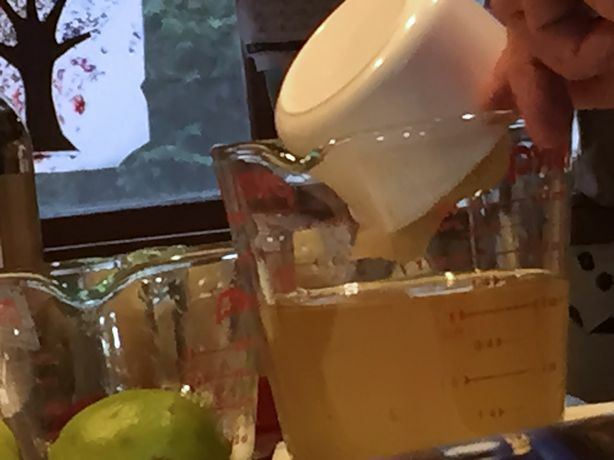 College Boy watched us with a huge grin on his face, then finally took pity and explained “It’s the basics for Rick Bayless’s Apple Habanero Margaritas.” Irish Girl found the recipe online and College Boy made up the apple habanero puree for us so all we had to do was add tequila; a staple in our house. Ohhhhh, I get it now! 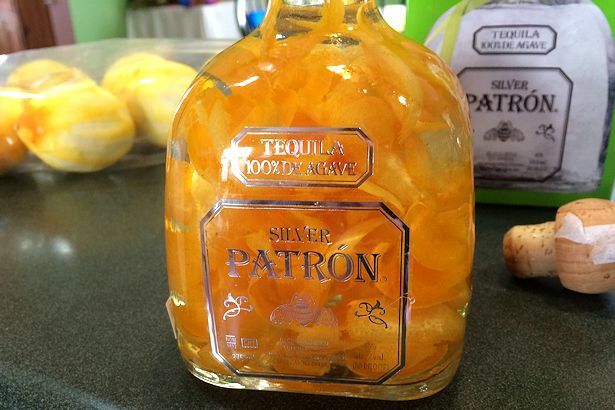 Guess who’s having Apple Habanero Margaritas for supper tonight? Happy dance! 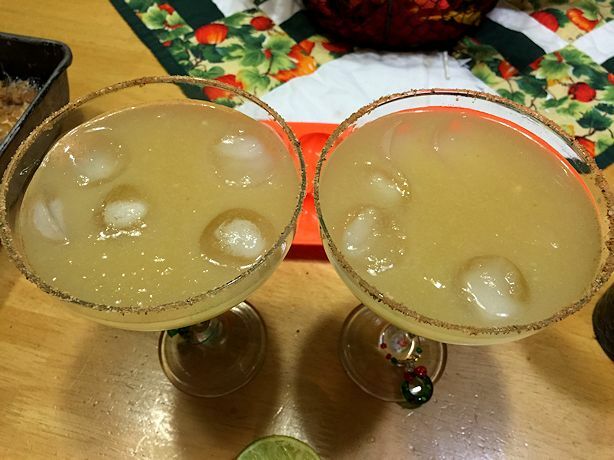 Rick Bayless posted the recipe online, but it’s also in his Frontera Margaritas, Guacamoles and Snacks cookbook. If you’re as big a fan of Margaritas and guacamole as Teacher and I are, you’ll want to buy this book! There’s no affiliate link and I don’t get any benefits from recommending it; I just think it’s a great cookbook that every Margarita and guacamole lover should own! 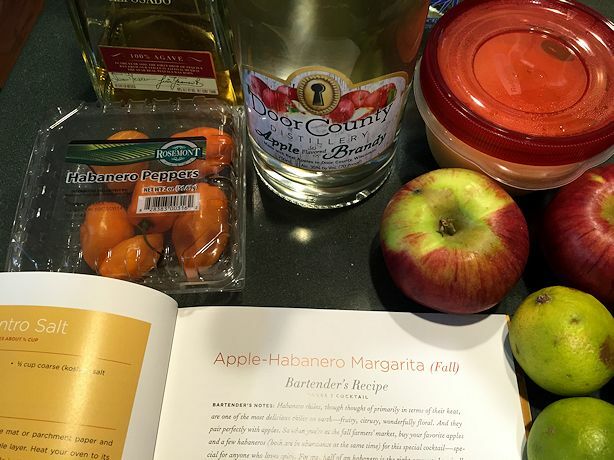 For Rick Bayless’s Apple Habanero Margaritas you’ll need a nice reposado tequila, apple brandy, apples and habaneros, fresh lime juice, and ice. 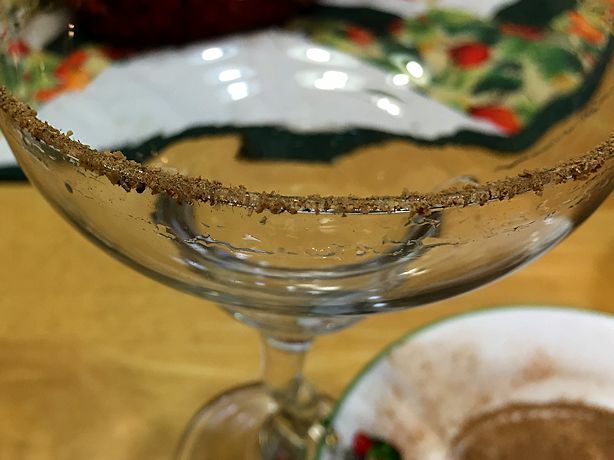 You’ll also need fresh ground black pepper, cinnamon, and kosher salt for Peppery Cinnamon Salt to rim the glasses. Peel, core and quarter 2-3 large tart apples – enough to make 3 1/2 cups of quarters. Toss with about 1/4 cup sugar and spread on a baking sheet with sides. Halve the habanero – gloves are a good idea because you do NOT want to get habanero oil in your eyes. or other sensitive body parts. i.e. Be careful in the bathroom after working with hot peppers! Remove the seeds and membrane for less heat, or leave them in for more of a kick. Add 1/2 of the habanero to the baking sheet. Roast 20 minutes at 400° then flip the apples and roast another 20 minutes, or until lightly brown and soft. The cookbook gives directions for a single drink or a “Pitcher Recipe for a Party,” and since Margaritas are always a party we never bother with the single recipe. You can halve the ingredients for half a pitcher, or look up Rick’s recipe for a single drink. 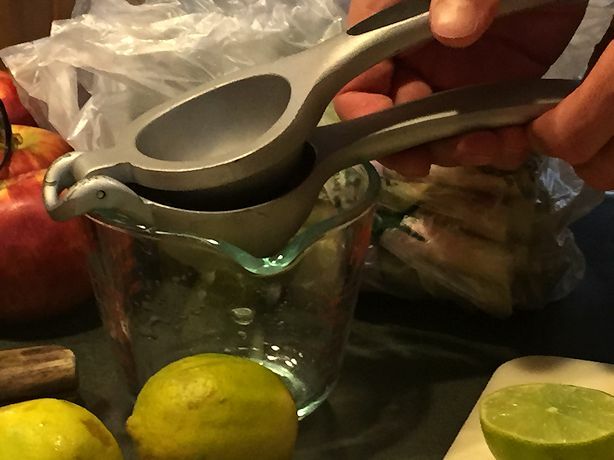 Squeeze limes to make 1/4 cup lime juice. 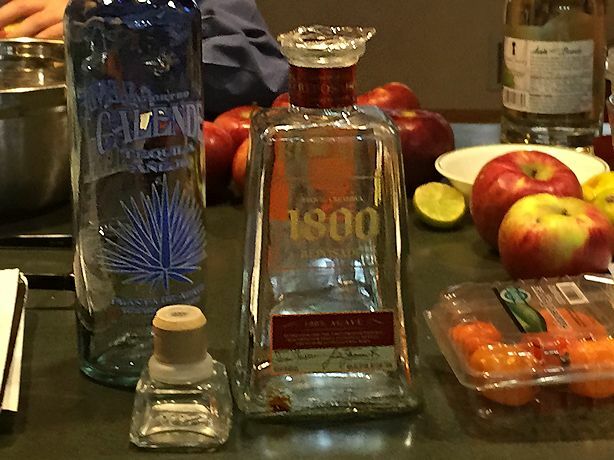 Add 1 1/2 cups 100% blue agave reposado tequila and 1/2 cup apple brandy. But why is all the rum tequila gone? 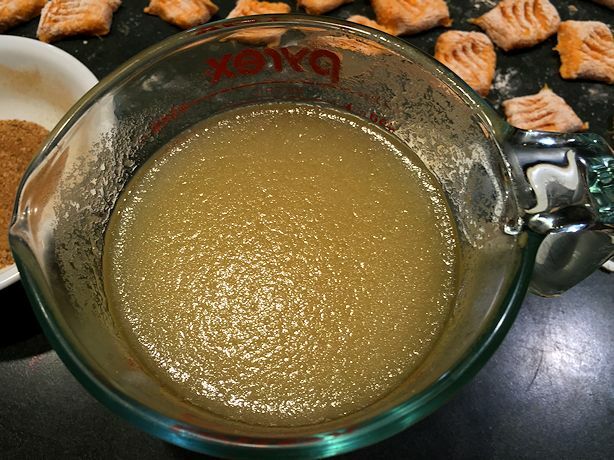 Mix in 1 1/2 cups of the apple-habanero puree. Z-Man did something to make the photos look weird; luckily he realized it before taking too many photos. 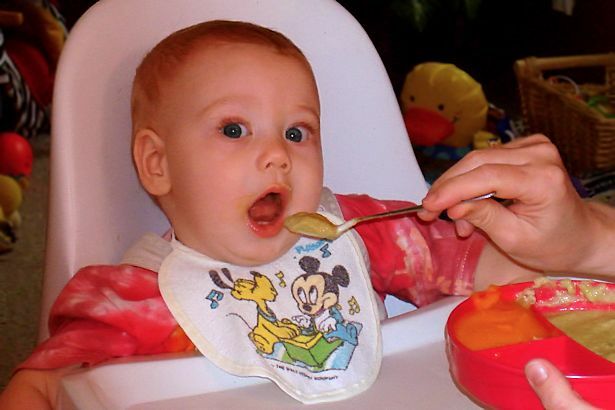 It ends up looking like a watered-down applesauce. To make the Peppery Cinnamon Salt combine 3 parts Kosher salt with 2 parts cinnamon and 1 part freshly ground black pepper. I used 3/8 tsp salt, 2/8 tsp aka 1/4 cinnamon and 1/8 tsp pepper. Spread the Peppery Cinnamon Salt on a small plate. Rub the rim of your glass with a lime wedge I use the previously juiced halves and press the glass upside-down in the salt to crust the rim. Fill a cocktail shaker half full with ice, then add the margarita mixture and shake 15 seconds or so. If you don’t have a cocktail shaker, a large sports bottle works well but the tequila aroma may linger, so be sure not to send it to soccer with one of your kids. Lesson learned the hard way! 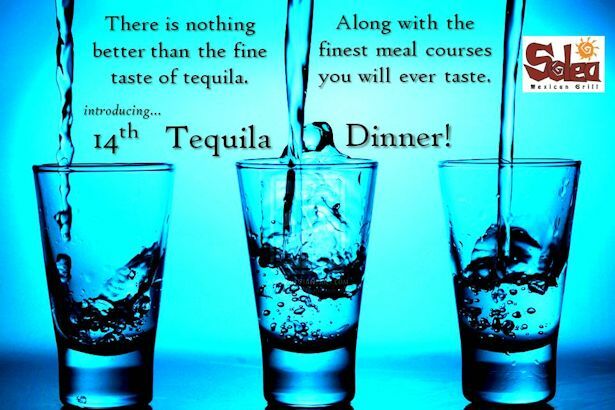 Strain into the prepared glasses, and enjoy! 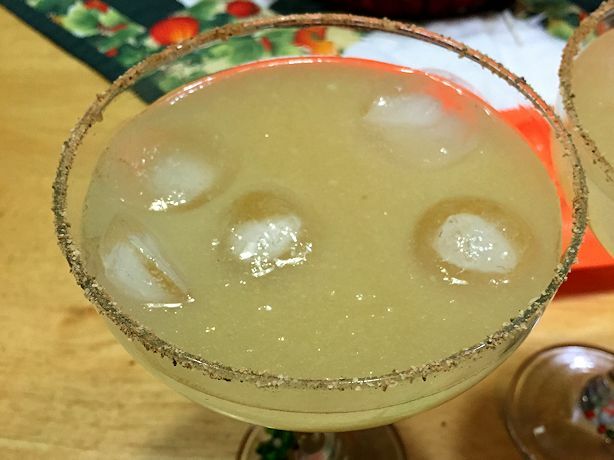 Are you brave enough to try an Apple Habanero Margarita?